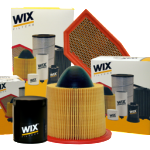 Cal-Ohio has been the proud supplier of WIX filters for over 50 years! WIX filters represent what Cal-Ohio is all about – quality. From light duty oil filters for your family car to heavy duty construction and industrial hydraulic filters, WIX puts it’s engineering and manufacturing expertise into every product. We carry a wide range of oil, fuel, air and water filters to meet all your preventive maintenance needs. If we don’t have it in stock we’ll do everything we can to track it down and get it to you in a timely manner. Have a competitor’s filter you’d like to cross over to WIX? Go to wixfilters.com, enter the number, or just call us at 330.549.2179 and we’ll do the work for you. When calling be sure to ask about our tiered discounts on filter purchases.